Are corporate event planners making their events BS8901-compliant? Cast your vote here, on C&IT's online poll. 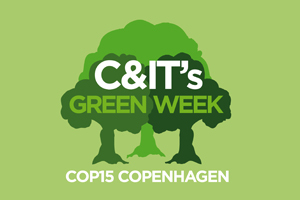 As part of C&IT Green Week, C&IT is asking readers about their experiences with sustainability. Are clients asking agencies to make their events BS8901-compliant? Are clients asking about venues' green credentials? Are the environmental and social impacts of an event equally important to corporate event planners as the financial impact? To have your say, register, and leave your comment here.